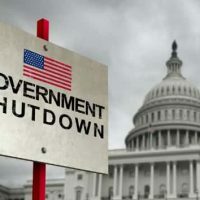 Nearly 10-thousand federal workers in Oregon are off the job or working without pay because of the government shutdown. The Oregonian reports many are eligible for unemployment benefits, but it’s complicated. First off, those working full time without pay are not eligible. Secondly, those who do collect unemployment are supposed to pay that money back if congress reimburses their federal pay when the government reopens. However, there’s not really a way for the state to collect the repayments. Check with the state employment department for more information.